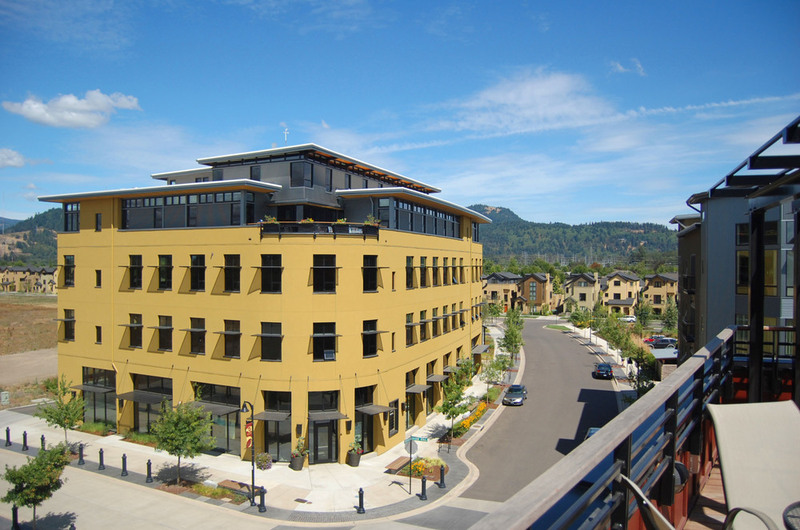 This 5-story, 37,000 square foot mixed-use office and retail building is the first LEED certified speculative office building in Lane County. Occupants enjoy views of both the Coburg Hills and Shadowview Drive’s lively mix of shops and restaurants. The building comprises 26,000 square feet of highly functional office space and 7,000 square feet of ground floor retail space. 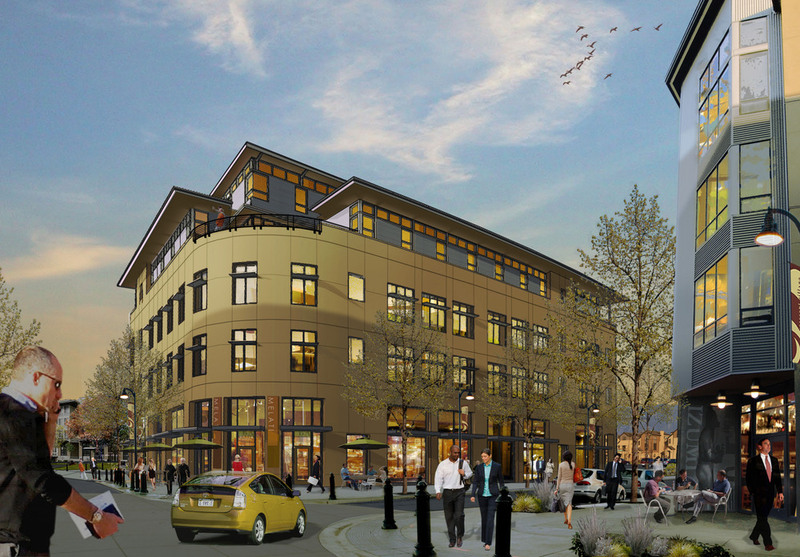 The Inkwell Building integrates highly developed passive strategies for glazing, sunshading, orientation and envelope that fit seamlessly within the character of Crescent Village that capitalizes on a mix of uses and higher housing densities to reduce environmental impact and enhance community. 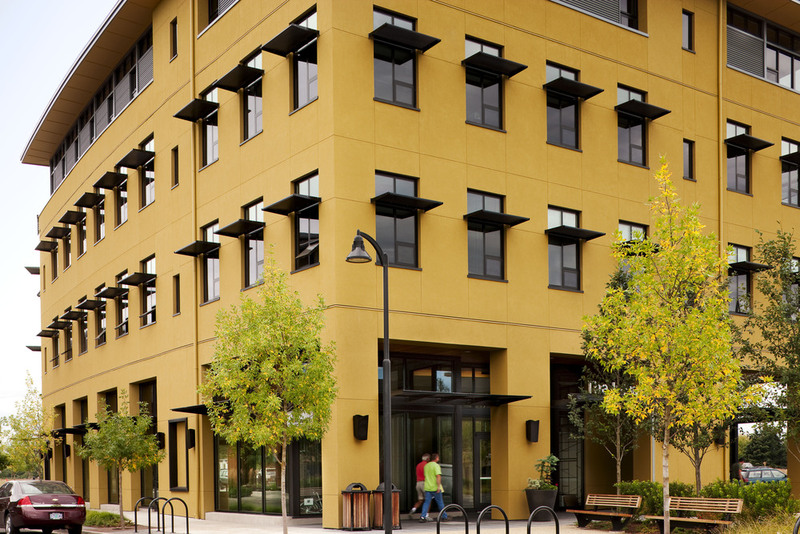 Strategically placed windows are proportioned to admit daylight deep into the building section, and limited in size to prevent excess heat gain. Using sunshades, lightshelves and high performance glazing, the vertically proportioned windows admit and control daylight to generously illuminate the office interiors. 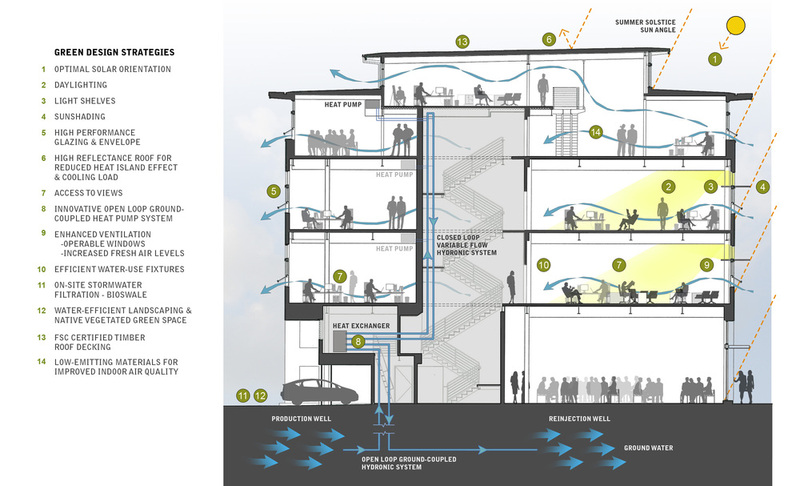 The heating and cooling system is based on an open-loop, ground-coupled heat pump system that allows individual tenants to tap into a highly efficient source of hot and cold water for heating and cooling systems that suit their individual space and needs.